BBC Radio 1's DJ, Presenter and Writer Gemma Cairney talks to Abbie about Gem's Jams, her monthly club night in Margate, POW! Thanet and more! POW! 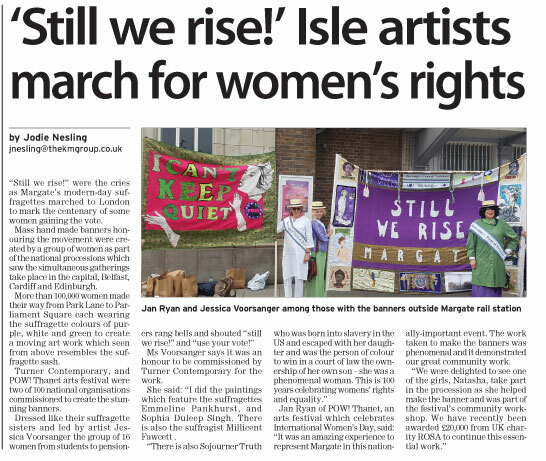 Thanet International Women's Day festival will run from March 8-11 and this year's theme is Movers and Makers, to tie in with the Entangled exhibition at Turner Contemporary! 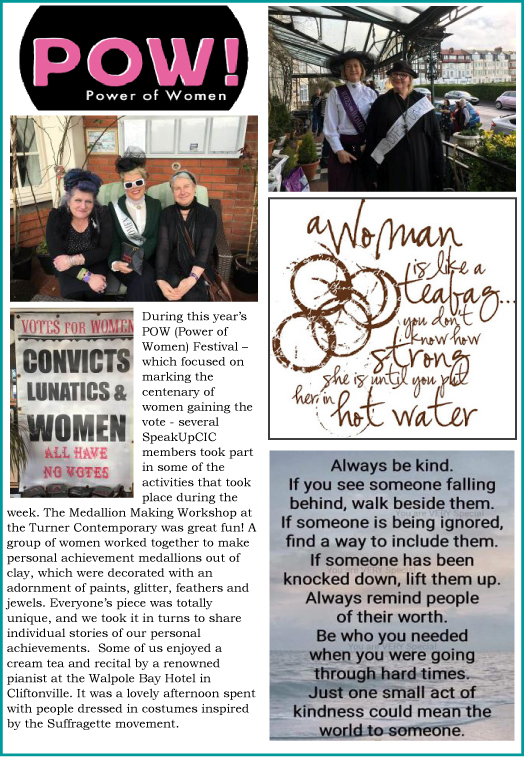 There will be daily lunchtime talks at the Royal Yacht Club in Ramsgate, thought-provoking exhibitions, a musical premiere to be performed at Turner Contemporary on the last day and a number of cabaret-style events showcasing the talent of female musicians throughout the four days. "There was a positive energy and encouraged positive role models"
"Opportunity to see interesting work from emerging artists"
"I enjoyed the diversity and atmosphere"
"I felt a strong community spirit and friendliness"
" The events were welcoming and accessible with high quality of work"
"I loved the interaction and inclusiveness. It was great to meet new people"
"It is vitally important to celebrate the power of women in our community and build ever-stronger networks of women in the local area. POW! is a great platform for doing both"
Click to join the POW! mailing list and stay up to date with news and announcements .